It's a good place to buy a car, and they have great service. They have great service, and they always wash my cars. 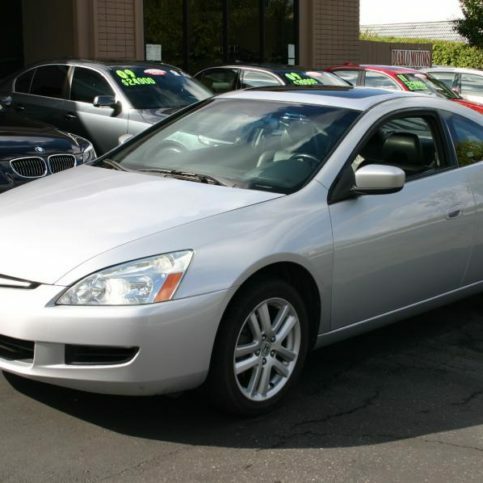 I liked that it was easy for me to get my used car without really needing to do a lot, and I got a great car. They're very personable and easy to work with. If you need something taken care of it feels like a very personalized service. They do everything that they say they're going to do, and they're very customer-focused. They make their customers feel valuable and appreciated. I had a good experience with them. 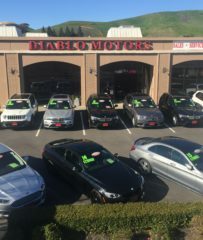 Diablo Motors Auto Sales, Brokerage, Consignment, Service has been providing pre-owned, late model cars, trucks and SUVs for Bay Area drivers since 1994. 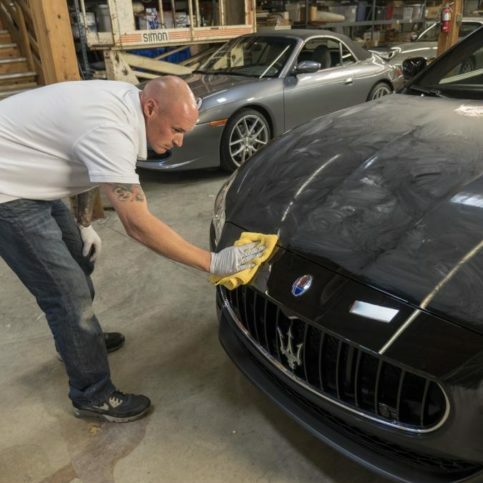 The company specializes in selling, servicing, and detailing sport-luxury and sport-utility vehicles such as BMW, Mercedes-Benz, Audi, Land Rover, and Jeep, but its revolving inventory includes cars and trucks of all types. Each vehicle that leaves its San Ramon showroom is AutoCheck Certified, undergoes a 200-point inspection and detail, and comes with a 90-day guarantee. 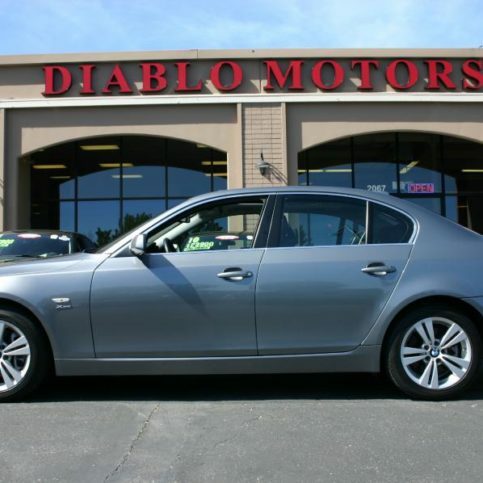 Diablo Motors carries a wide variety of vehicles at its San Ramon facility. 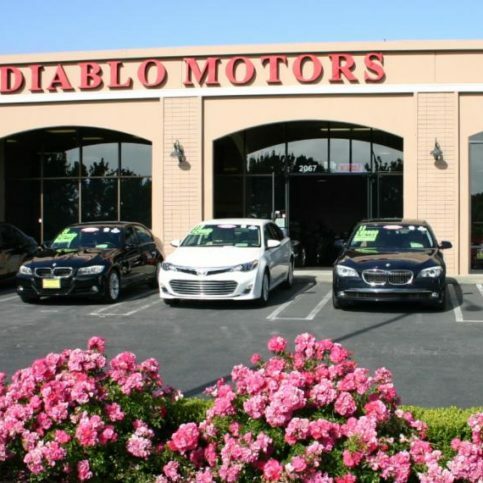 All of Diablo Motors Auto Sales, Brokerage, Service’s vehicles are CARFAX®-certified, which means customers can view title information, flood damage and total loss accident history, odometer readings, number of owners, state emissions inspection results, service records and more before they make their final decisions. In addition to CARFAX reports, the company provides 90-day guarantees that vary from engine/drive train coverage to bumper-to-bumper protection. “Unlike buying a car from a private party, our customers don’t have to worry about negotiating if something goes wrong,” says Mr. Meier. 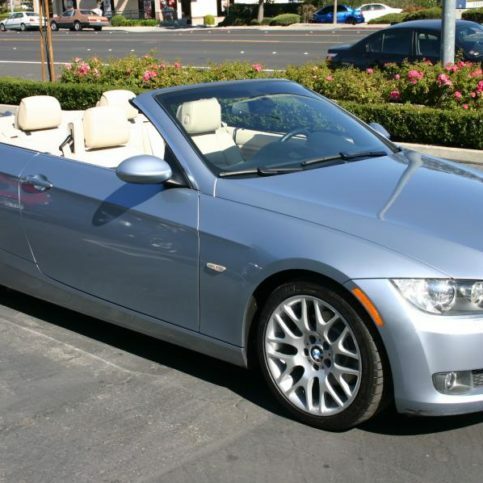 • Before you go to a dealer, try to arrange financing with your bank, credit union or other financial institution. It’s best to know the total cost, including price, down payments, the interest rate and monthly payments in advance. • Don’t sign any documents until you’ve read and understood them. Make sure there are no blank spaces, all of the salesperson’s verbal promises are included, and the type of warranty that comes with the car is clear and understood. • If you’re required to make a deposit, ask whether it’s refundable and under what circumstances. Make sure the information is also included in the contract (the contract may be your only receipt). • Look for models and dealers that feature guarantees and pre-inspections. • Take a prospective vehicle to a trusted mechanic. Have them perform an engine compression test and check the spark plugs, ignition system, transmission fluid, power steering, cooling system, braking system, suspension, differential and any other important mechanical parts. • Check for online or local references and the reviews of used car dealers. 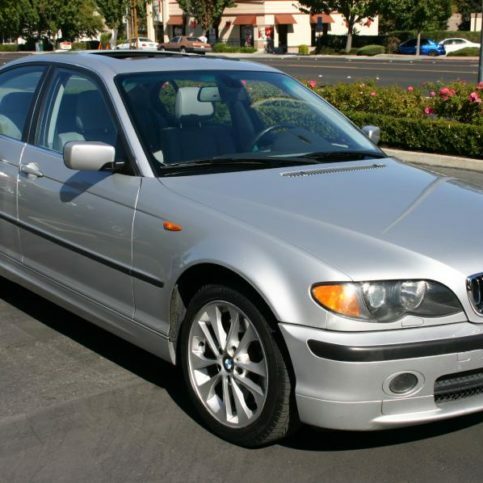 • Ask to see a CARFAX® report to discern any problems that might be hidden in a car’s history. 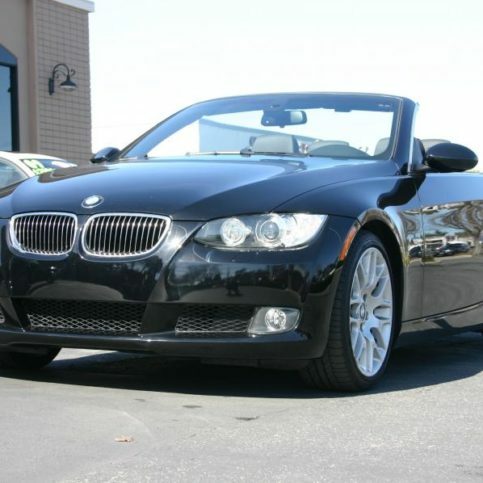 • Ask about how the dealer follows up with customers after the sale. More information about researching dealers and repair shops can be found at the State of California Bureau of Automotive Repair’s website, www.autorepair.ca.gov. Q: Where do you get your cars? A: We get our vehicles from various sources, including local trade-ins and private parties. Many are from dealer auctions, lease turn-ins or similar sources. 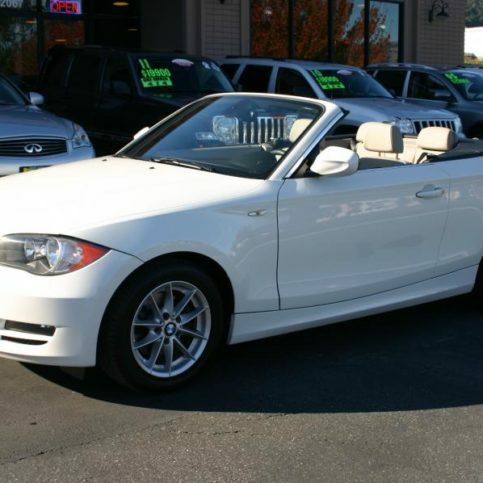 Q: What does certified pre-owned mean? 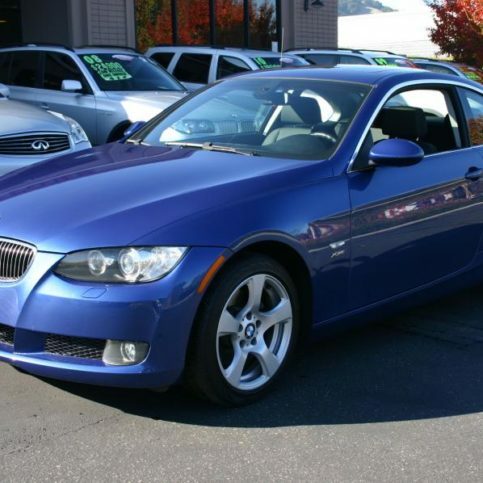 A: A certified pre-owned vehicle has passed our 200-point inspection and comes with our exclusive 90-day warranty. If we find anything wrong with the car, we’ll fix it, and if we missed anything, we’ll fix that, too. We also provide a vehicle history report to ensure the overall quality of the car. 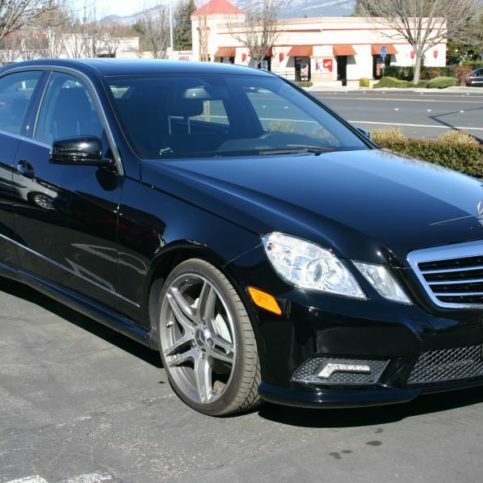 A: We offer a 90-day guarantee for every vehicle, which varies based on the price of the car. 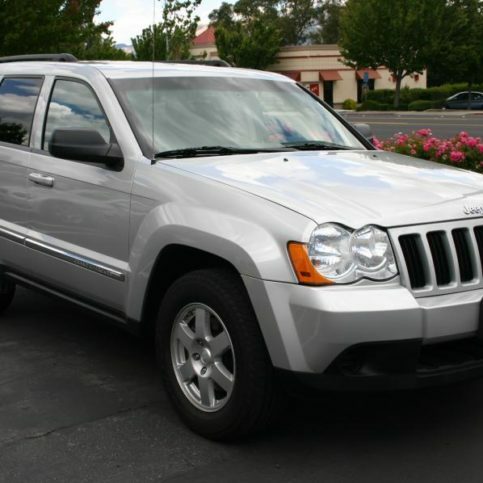 Vehicles priced over $10,000 include a 90-day, bumper-to-bumper warranty. Cars priced between $5,000 and $10,000 include a 90-day engine/drivetrain warranty, and cars priced under $5,000 include a smog and safety guarantee. Extended warranty options are also available. Q: How do you price your cars? 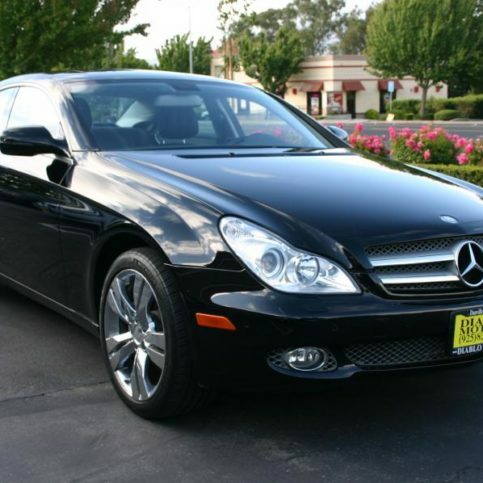 A: Depending on the make and model, we generally price our cars at KBB private party. It’s similar to buying a car from a private party, but with our inspection and guarantee, you minimize your risk and won’t have to worry. Q: What if I don’t like the car you get from a broker or auction deal? A: If someone comes in and places an order for a vehicle, we guarantee the customer’s satisfaction or there is no obligation to purchase. So far, that hasn’t happened. I’m so picky about the cars I buy at dealer auctions that I’m confident they’re going to both meet and exceed your specifications. Q: Should I be leery of buying a car at an auction? A: Yes, because it depends on the auction and the buyer. There are two kinds of auctions—dealer and public—and people often lump them together. Public auctions are generally for repos and impound vehicles; my customers typically don’t want to buy a project car. 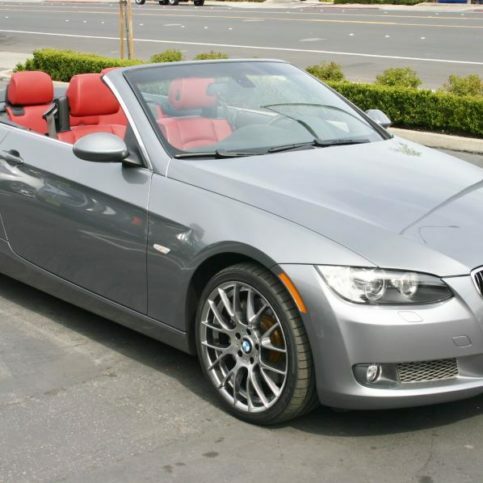 Dealer-only auctions have the same cars you see on the big dealership lots. 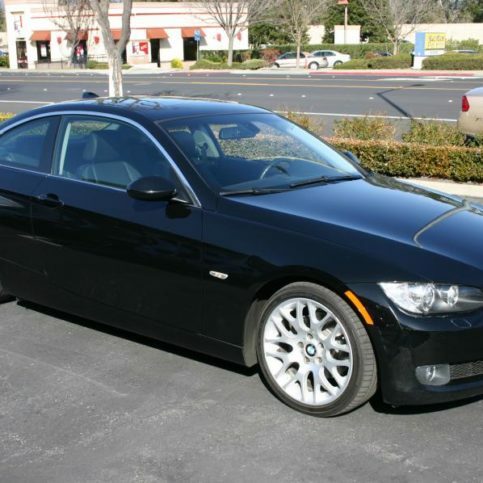 So, if you buy a certified pre-owned BMW that’s two or three years old from the BMW dealer, it’s likely a dealer auction car. I don’t suggest going to a public auction unless you’re a mechanic and looking for a fixer-upper. Q: How do you clean cars when you get them? A: Our 200-point inspection covers the mechanicals. We check all the moving parts, from electric windows and door locks to tires and brakes. If it’s not working correctly, it gets replaced. 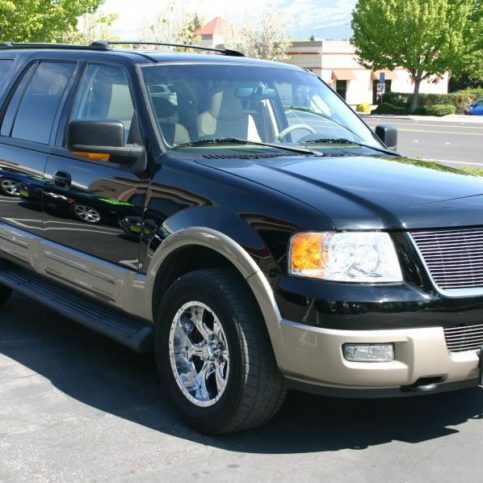 Each vehicle also gets a thorough interior and exterior detail, which makes it look and smell as good as new. Rebarts Interiors offers a wide selection of shades. 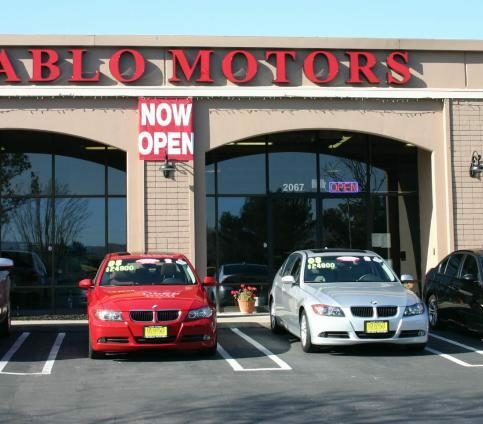 Diablo Motors is located on 2067 San Ramon Valley Blvd. 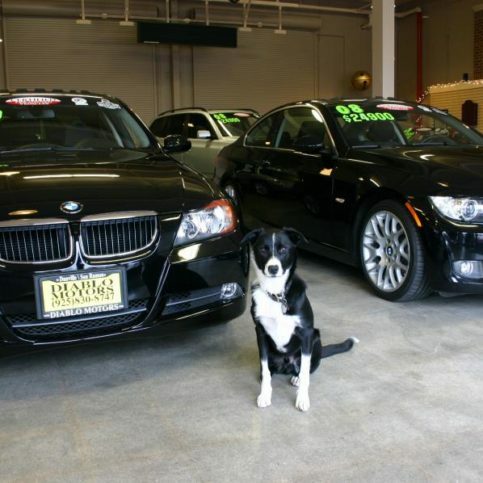 Owner Greg Meier’s dog Tux poses with a couple of BMW’s. 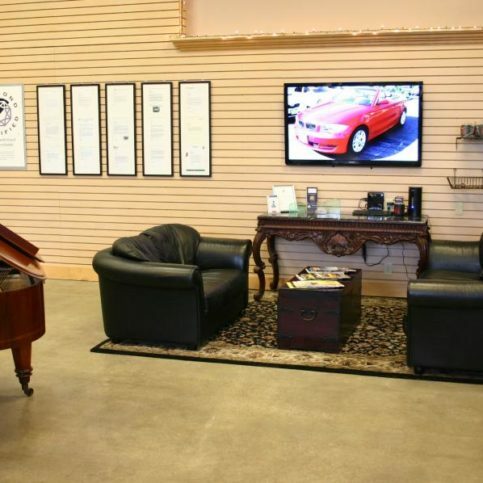 Diablo Motors’s showroom provides a comfortable seating area. 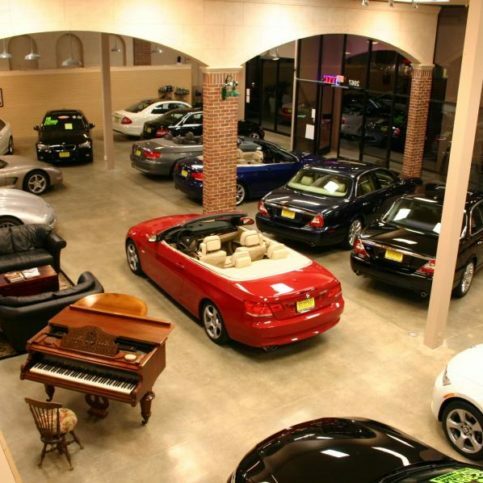 Diablo Motors exhibits a selection of fine vehicles in its grand showroom. 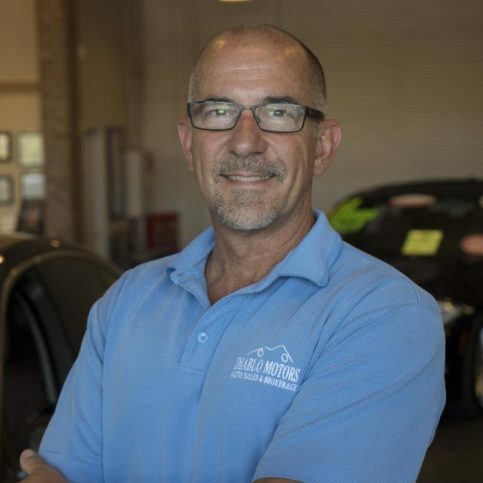 Greg Meier is a 22-year veteran of the auto sales industry and owner of Diablo Motors Auto Sales, Brokerage, Consignment, Service, a Diamond Certified company since 2005. He can be reached at (925) 526-5985 or by email. Rather than enroll in a trade school or start working in a local repair shop, Greg opted to take a more self-determining route. “I started out small: I sold my car and bought two cheaper ones, sold those two and bought three more, and just kept reinvesting my money,” he says. 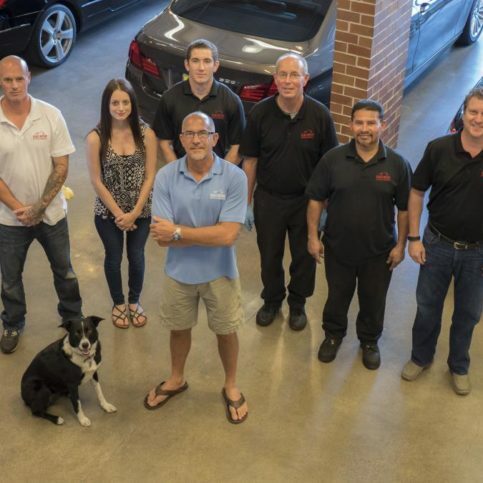 “I didn’t really set out to be a salesperson, but I guess if you’re nice and honest with people, it just kind of flows.” Through the exponential growth of his investments, Greg was eventually able to establish a centrally located auto sales, brokerage and consignment service in San Ramon. A: Definitely music, particularly from the ’80s, since that’s what I listened to during my formative college years. A: I just got back from Italy, and I’d go right back. A: My Matchbox and Hot Wheels cars. SAN RAMON — With the improved quality of modern synthetic oil products, many high-end auto manufacturers have extended their recommended oil change intervals. In some cases, manufacturers endorse driving for as many as 12,000 to 15,000 miles between services. This may be a good idea in theory, but in practice, it can lead to adverse consequences. Over time, airborne contaminants cause engine oil to become dirty, regardless of whether it’s a synthetic or conventional product. So, if you keep the same oil in your car for 12,000 to 15,000 miles, you’ll allow that dirt to continue cycling through the engine, which will inevitably cause excessive wear and tear. To avoid this, skip the manufacturer’s recommendation and plan to have your oil changed every 5,000 miles. 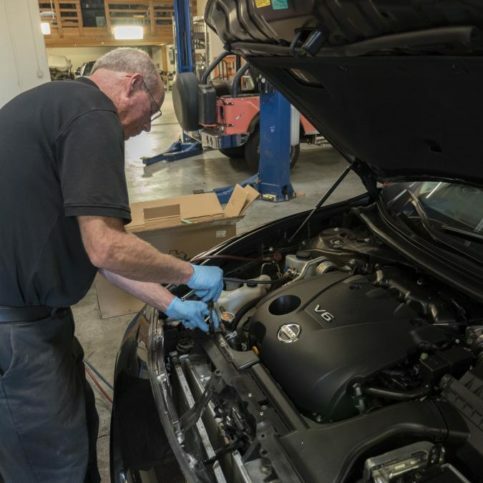 SAN RAMON — Host, Sarah Rutan: While many car manufacturers are recommending longer oil change intervals, this may not be such a good idea in practice. Today we’re in San Ramon with Diamond Certified Expert Contributor Greg Meier of Diablo Motors to learn why. Diamond Certified Expert Contributor, Greg Meier: Many of today’s highline car manufacturers recommend a longer oil change interval, from twelve to fifteen thousand miles between oil changes. And, as a shop owner, we recommend a much shorter oil change interval because of the wear and tear that longer intervals cause on the engine, on the metal parts. When you have a hundred percent synthetic oil, which we have here brand new, and here is dirty oil – it’s still synthetic, but it’s dirty – this oil will hold the dirt in it. And, if you keep your oil in the car for twelve to fifteen thousand miles, you’re leaving that same dirt to cause wear and tear inside the engine. We recommend that shorter term interval because then we get the dirt out. Yes, true, the oil is equipped to last longer, but the dirt is still in there. So, at Diablo Motors, we recommend a five thousand mile oil change interval. Diablo Motors : Average 8.8 out of 10 based on 239 unique customer surveys of customer satisfaction. They had great customer service, and they did a great job. 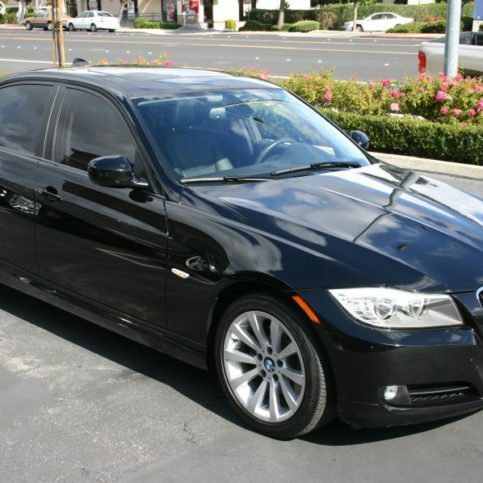 The fast and quick service, they answered all of my questions, and they got the loan for me. They're very courteous when you go in to have your car serviced. They were easy to deal with, it wasn't a pushy sale, and they weren't overbearing whatsoever. I would go back and buy another used car from them. There weren't a lot of pushy people. It's a fantastic place to get a car and get good service. They take care of you after you buy the car. Greg and Tony are fantastic guys, and they'll do anything to help you get what you need. The owner is professional, he knows his product, and he works hard to represent the best company he can. The owner, he's a great guy. I think they're excellent. They have an excellent reputation, they stand behind their product, and I've been doing business with them for a long time. The quality of their product and the quality of service, it's not only before service but after service, they're a great company to do business with. Greg literally buys his automobiles used from auctions, and he sells them for a very reasonable price. You cannot beat it for price performance. 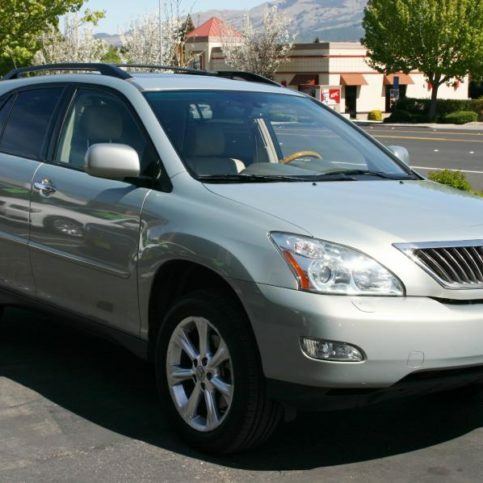 Greg's model is simple, he sells the car at a reasonable price, and he makes the money with long-term service. The price performance model, and I love Greg. He's a great guy. They're trustworthy, and it's a good place to go. They had what I wanted, and they were easy to deal with. It was a super easy buying experience. The owner, Greg, is very friendly and very efficient. The good service, they're very friendly and efficient. Use them. I highly recommend them. They were very personable, and I felt like I was getting a good deal. They have a nice selection of cars. I felt very comfortable doing business with them. They were very knowledgeable. I liked the salesman I talked to. He was very pleasant and helpful. I'm not sure, but I think he was the owner. He was very helpful. I just took off with the car. The price was good, and the service was great. I really liked Greg. The service, there was no back and forth. It was easy to make the deal. It was nothing like the dealership. The owner is very helpful and honest. I felt confident that I would come out driving something great. I've had no problems. They were very helpful, they listen to my needs, and they took care of me. I felt very comfortable talking to the staff. They were willing to negotiate the price, and they did their best to accommodate me because I had a little one with me. They were very fast and helpful.